Why Do I Need A SmartThings Home Kit? 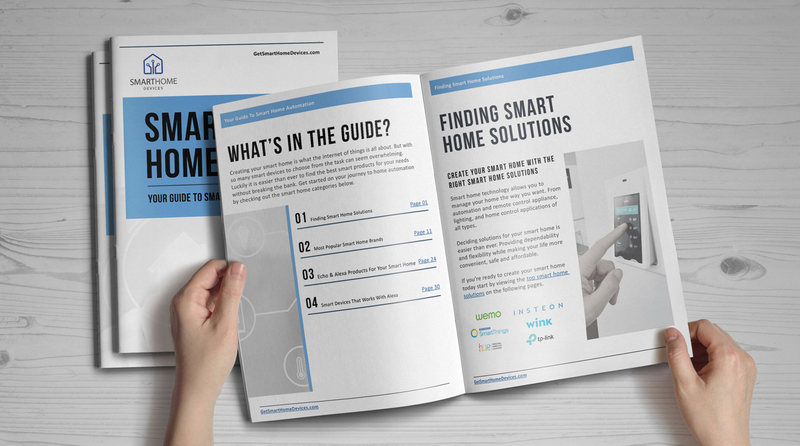 You need a SmartThings Home Kit for several reasons. First, it helps you track your home wherever you are. This helps give you peace of mind that your house and your loved ones inside your house are safe. You can even stay connected as you receive notifications whenever people, cars, or pets come in and out. The kit can be paired with a Samsung SmartCam. This is so you can include some visual monitoring in real time of your house. In this manner, you can get an overall view and perspective of your home. With its video capabilities, you can watch over those whenever you are out. You can get push notifications so you can live stream what is at home or even record videos. These videos can be downloaded to your smart phone. The videos are stored for a maximum of thirty days. The SmartThings Home Kit is easy to set up since you don’t need any installation at all. If you have an Internet connection (broadband), you can set up the Hub easily and connect to the devices so you can begin to monitor and control your home wherever you may be. This has a range of fifty to a hundred feet and weighs 14.4 ounces. The Samsung SmartThings Home Kit actually lowers your usage of electricity. You can conserve energy inside and outside your home when you restrict the power to your appliances or electronics. Moreover, you don’t need to pay for excess electricity (leaving the lights on, for example). 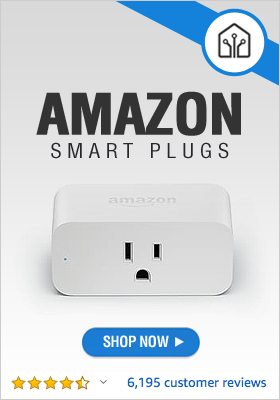 You can get alerts if electronics or lights were left on accidentally. When this happens, you can remedy the situation. 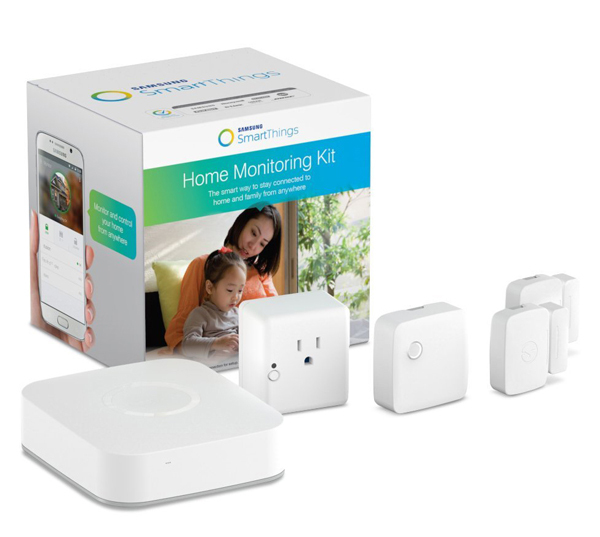 The SmartThings Monitoring Kit can manage the activity inside your home. The kit helps you relax since you will be able to know everything that is happening inside your home. You can even improve your SmartThings experience by including compatible locks, cameras, alarms, etc. The kit has a Samsung SmartThings Hub so you can connect to lights, smart sensors, cameras, locks, and the like. It has two Samsung SmartThings Multipurpose Sensors to check if doors, cabinets, windows, or garage doors are closed or open. It has a Samsung SmartThings Motion Sensor so you take note of any movement inside your home. The Samsung SmartThings Outlet helps you control electronics, the lights, and tiny appliances. You can also use the Smart Home Monitor that unifies monitoring solutions, offering you a center to get alerts on fire and smoke, leaks, intrusions, and other activities. You can also send notifications to contacts you trust so they can act whenever you’re outside of your home.